Welcome to this gorgeous 4br/3ba/3 car garage + POOL stunner built by Medallion Homes in 2005. This sprawling 2545SF home sits on just shy of .50 acre and offers peaceful pond views. The inviting layout is appointed with exquisite details including a tray ceiling in the formal dining room, high ceilings throughout the home, ceramic tile throughout the kitchen, dining, and living rooms enhanced by large baseboards, and NEW carpet in the bedrooms. The spacious kitchen boasts solid wood cabinetry, solid surface countertops, BRAND NEW STAINLESS STEEL APPLIANCES, and a butlerâs pantry. The master bedroom features glass sliders out to the lanai, dual WALK-IN CLOSETS, and a beautiful en suite bath with his & hers sinks, a jetted tub, and huge walk-in shower. The three additional bedrooms are all bright and offer ample space. The outdoor living space is simply perfect! The oversized screened lanai offers plenty of seating areas, a sparkling in ground pool and spa, ceiling fans to keep you cool, and views, views, views! 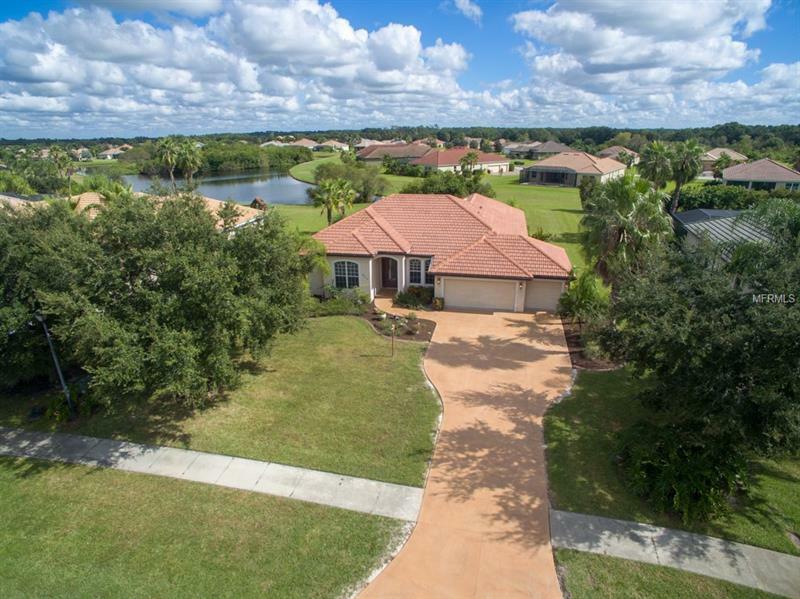 The upscale community of Country Meadows is located just North of Lakewood Ranch and is super convenient to I-75, great shopping, dining and A ++ schools. Take note of the low HOA fees and NO CDD! Pet Restrictions: Buyer to verify any and all pet restrictions with association.